The guest for today’s show is Dan Dwyer. Dan has spent time as an army officer and retired 10 years ago. He’s now helping guide leaders and organizations to achieve transformational results. Dan, can you tell us a little about yourself? I spent 22 as an army officer. I’m a paternal twin and my twin brother still serves in the navy, he’s in his 32nd year. We were raised by our aunt and uncle. This month will be 10 years since I took off the uniform. Most of my focus is on leadership development at coachtoperform.com. That’s really my passion. Yeah, particularly this time of the year, as leaders, we have to be mindful of some of the stressors, typically the holiday season, both at peacetime and especially the last decade plus, it’s been where suicides have increased. You have to watch out for those indicators. And, as a leader, put some effort on suicide prevention. The challenges aren’t always with service members themselves. There are risk signs and warning factors for family members as well. And a lot of organizations, I know certainly, in the military and some organizations in corporate America are starting to stand up and look at resiliency programs. You said there are some warning signs leaders should be aware of. What are some of those warning signs? When a service member presents, he or she can present any of the combination of the following and recognize them. Discussions not necessarily with leaders but with peers about thoughts of suicide or killing someone else. Discussions or anecdotes about giving away property or disregard for what happens to one’s property. Sometimes they’ll withdraw from friends and activities. Sometimes they’ll have troubles with their boyfriend, girlfriend, or spouse. Any abnormal actions. Acting bizarre or unusual. Misconduct or a significant change in performance in the workplace. You start seeing or hearing about financial problems. They might have lost their job at home. They want to continue to be able to provide for their family. And, if they can’t, their expectations over the holidays is a little bit different than other times of the year. When a soldier or service member presents any of these concerns, you start hearing about suicide. About 4 million have planned to include acquiring the means to kill oneself. 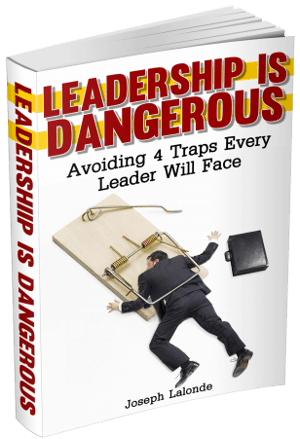 What can a leader do if he begins to notice these warning signs? Are there certain steps a leader should take? Yeah, there’s some things that leaders can do. If a leader doesn’t feel comfortable with the ability to communicate effectively with that person, sometimes one of the best things you can do is not tell them where to go but to take them somewhere. We find that in our chaplains a lot and in the religious side of our lives but not in the workplace. It’s generally best for mental health professionals to assess and manage workers who show the warning signs and risk factors of suicide. Do these situations tend to escalate rather quickly? Yeah, yes… So the most important thing you can do is to take action. If it’s by phone, reestablish that helping relationship. Kind of get your foot in the door and show them you have a genuine concern for their well-being. Quickly express that you’re glad the individual called. Immediately get the telephone number that he or she is calling from. Find out where the individual is located. Get as much information as you can about the individual’s plan. Avoid topics that may agitate the person. 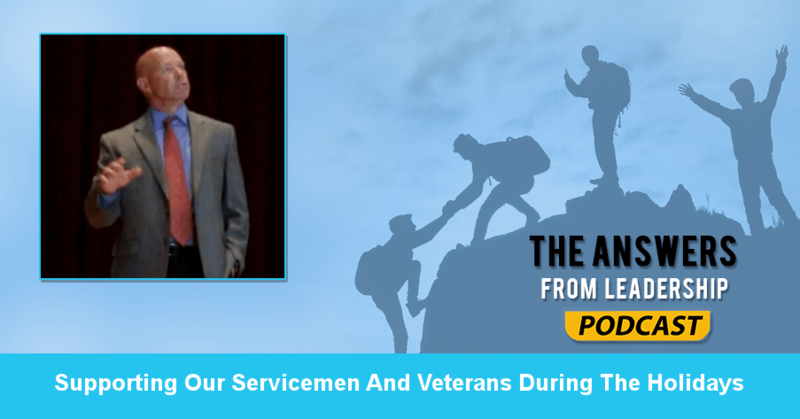 What if the service member or veteran is unwilling to go somewhere with you? Then you monitor them to the point where you feel they’re no longer at risk. Sometimes it’s not a matter of they don’t want to go. It’s that they don’t want to go now. The most important piece of information we can provide our leaders is to where to find information or who to talk to if they encounter an individual that needs help. Are there any national organizations that a leader could contact to get help? If the individual is a veteran, retired, or no longer serving in the guard or the reserve, The VA is an organization. Don’t over-react to the problem. Don’t create a stigma about seeking mental health treatment. I think that’s one of the reasons they necessarily won’t go. They’re worried about repercussions or the stigma later on. When a service member returns or retires and heads into the workplace, is there anything a leader can do to help minimize the possibility or the thought of suicide? My personal leadership philosophy is based on an acronym: TIPS. Being a simplistic person and growing up in a military that’s full of acronyms, I came up with the acronym TIPS. If listeners would like to find you online, where can they connect with you? They can certainly find me online through my website, www.coachtoperform.com. Twitter is @DanDwyer_. My Facebook page is facebook.com/coachtoperform. They can email me anytime. My email address is dan@coachtoperform.com. I’m also on Instagram at @DanDwyer_. I’m even responsive to phone calls. Feel free to call me at 719-330-3731. Do you have any parting words of wisdom before we end the conversation? Suicide risk is highest when a person sees no way out and fears things may get worse. The predominant emotions are helplessness and hopelessness. Their thinking is constricted. It’s just the key ingredient in leading is caring. That’s the silver bullet of leading.